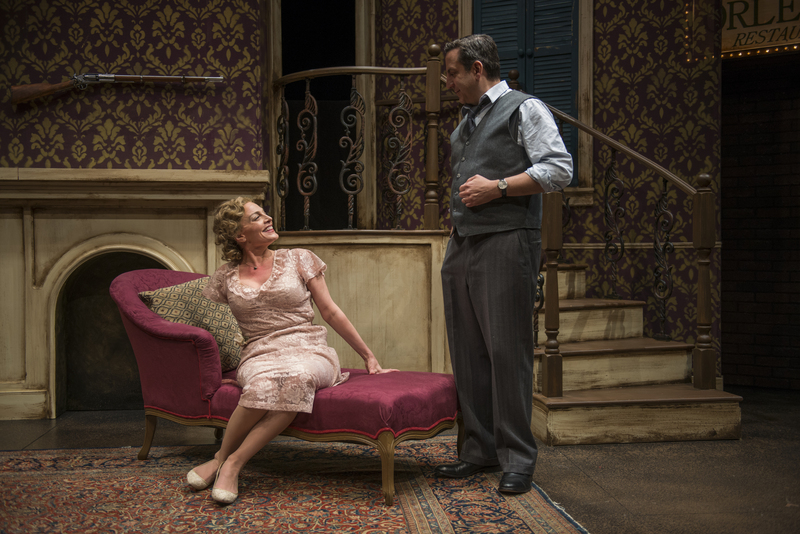 What is Writers Theatre's inaugural production of Death of a Streetcar Named Virginia Woolf: A Parody, now playing in their intimate black box Gillian Theatre, all about? Anyone who is a fan of classic theater should be able to figure this out rather quickly. Death of a ________? Streetcar Named ________? ____ _____ ___ Virginia Woolf? Fill in the blanks and you have the names of three major literary classics from the 20th century. The genius behind this hilarious mashup is twofold. Writers Theatre and Chicago’s world-renowned comedy theatre The Second City have put their collective heads together to create a comedic romp that begs the question: What happens when the most recognizable characters from some of the greatest American plays of the 20th century suddenly find themselves sharing the same stage? 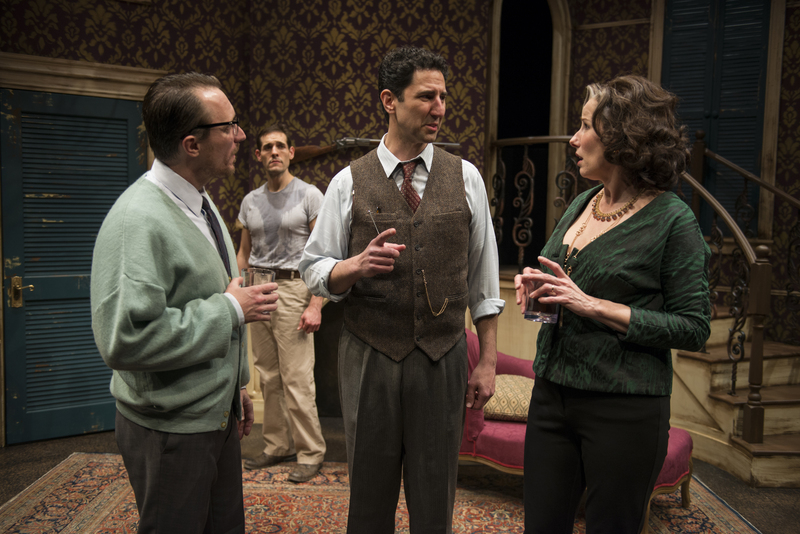 Imagine Blanche DuBois (Jennifer Engstrom) returning to New Orleans where she runs head on into Stanley Kowalski (Michael Perez); or Willie Lohmann (Marc Grapey) showing up at the same time, same place hoping to turn his life around--only to discover he's a week too late. Of course the mashup wouldn't be complete without Albee's hard-drinking bickering duo of George (John Hoogenakker) and Martha (Karen Janes Woditsch) who arrive on the scene in search of their pretend son...add about a dozen or so quick references to other well know literary classics, then watch closely to see The Iceman Cometh--and you're in for quite a ride. The show starts out on a folksy note with an introduction by the always delightful Writers Theatre veteran Sean Fortunato as The Stage Manager from Our Town who is a guiding force in the production showing many faces. Sit back and be prepared for the quick-fire hilarious, smart, witty dialogue-- and get ready for what may be the most laugh-filled 65 minutes you've ever spent in a theatre. 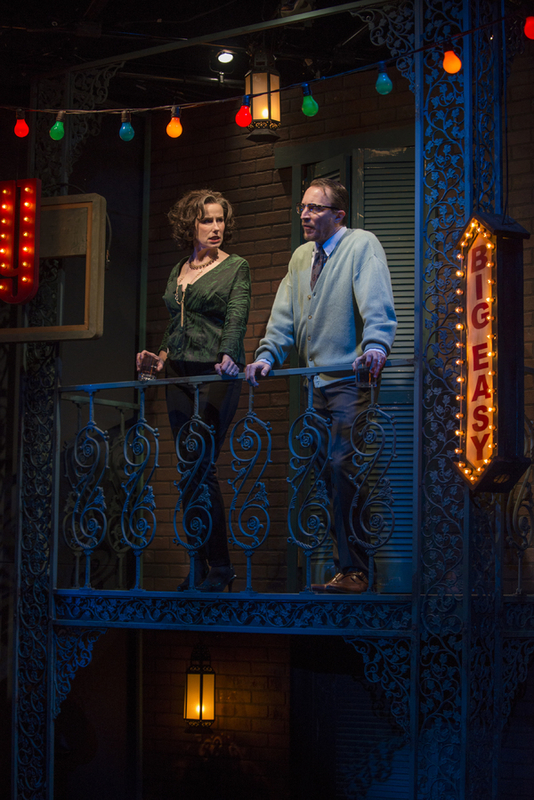 Co-directed by former Associate Artistic Director Stuart Carden and Artistic Director Michael Halberstam, this deliciously satirical mash-up of A Streetcar Named Desire, Death of a Salesman, Who’s Afraid of Virginia Woolf? and Our Town works on many levels. First the fast-paced script, secondly the hand-picked six pack of all-star performers, thirdly the masterful staging, and fourth the intimate space that lets the audience be part of the action. The talented creative team is made up of designers Linda Buchanan (Scenic Designer), Jenny Mannis (Costume Designer), Jesse Klug (Lighting Designer) and Josh Horvath (Sound Designer). The Stage Manager is Rebecca Pechter, and the Assistant Stage Manager is Mallory Bass.